Seaside Re-Visited | Howard Rideout Architect Inc.
With inexpensive airfare and Facebook compelling us to explore the most exotic of locations on the planet (and immediately post photos to the “delight” of our envious friends) a place like Florida may not seem like a destination that an architect would tour in an effort to gain a better understanding of the latest in town planning and resort design. Yet this State, now knee deep in the best and worst that the last fifty years of development has produced, is just that. Any tour of the best of Florida always requires that you pass through miles of the worst. Taco Bells, IHOPs and other fast food restaurants, along with motels, line almost every street. This trip was part of my preparatory work to reacquaint myself with the most influential of the New Urbanist communities, and to understand how the designers of these communities had created nodes of “place” within the relentless sprawl of suburbia. 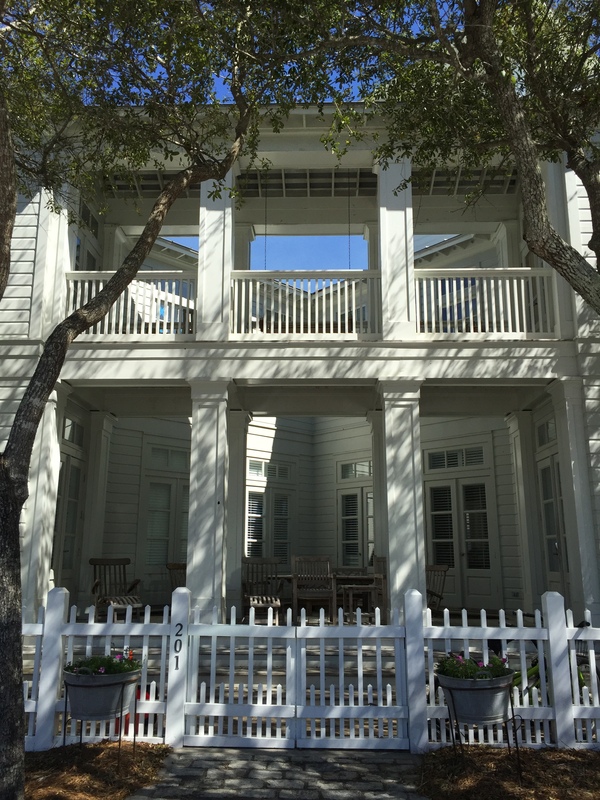 The two most important sites; Seaside, on Florida’s panhandle and Celebration, part of the larger master planned Disney World were my main points of interest. This excursion was particularly relevant for me, as I was about to embark on the design of a new community here in Ontario. It had been 35 years since my first visit to Orlando and the outpost of Disney World set amongst orange groves and endless expanses of dry-scrub ranch lands. What was initially small pockets of suburban strip development, has now become ubiquitous and fills almost every acre of land. 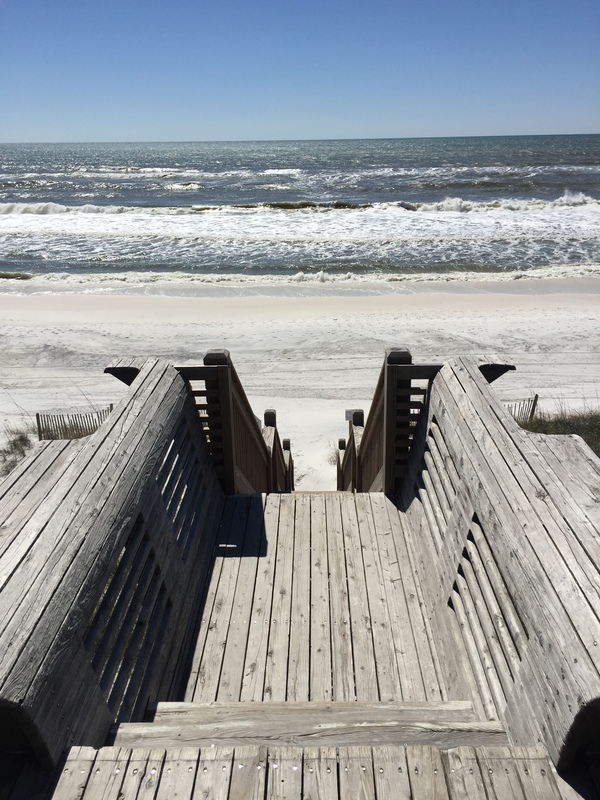 Arriving in Orlando I felt that it was an important to visit Seaside first, as it had been the most influential of the new wave of master planned communities. I referred to it often when designing the Fisherman’s Wharf project in Dalian which I designed with B+H Architects in Shanghai in 2006. 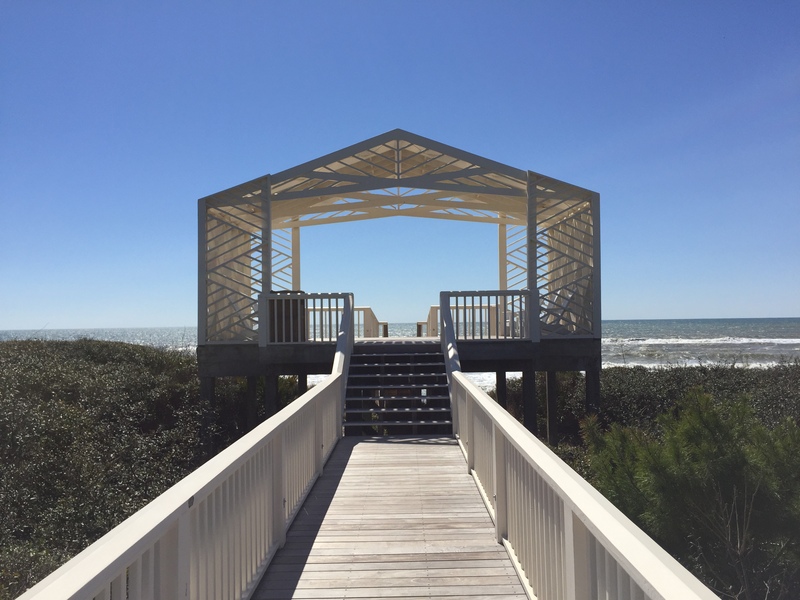 Although I had researched Seaside extensively over the last 30 years since studying it in Architectural school in the mid 1980’s, walking around the built community brought a new appreciation of the ground breaking aspects of its design. Until then, most new developments in North America were designed using modern planning principles with buildings arranged in picturesque groupings to cover as much of the site (manipulated to provide as much flat exploitable land as possible) with single family homes. The street network was arranged to create the most cul-de-sac enclaves as possible with a primary access provided by limited use arterial roads. Except for single family homes, all other aspects of life would be accommodated in adjacent sites by other developers and would only be accessible by car. 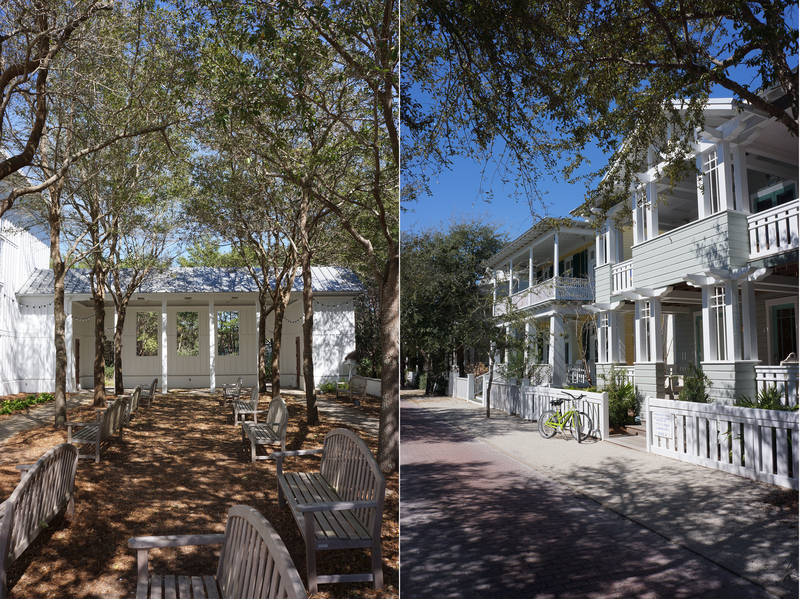 Seaside broke this mold and created a complex grid of streets that were organized around a series of public buildings that define communal groupings and give each neighborhood its own character. A community was envisioned with a built complexity that incorporated many unique uses other than residential, to encourage residents to get outside to explore their entire community. Schools, churches and the clubhouses terminate vistas of many of the streets. The focus of the entire community, and from where many of the most important routes originate, is the town’s main square. 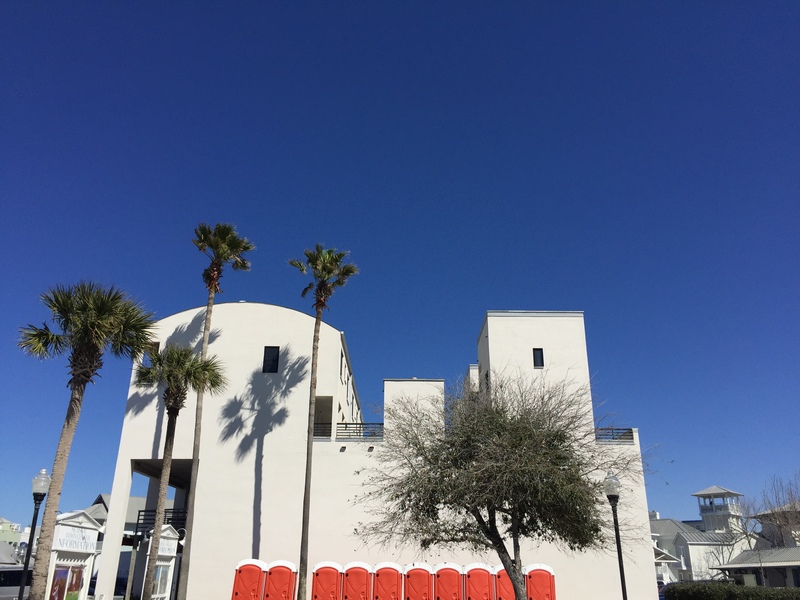 This public space, located adjacent to the main ocean drive is the community’s living room. An area enclosed by three story residential buildings with shops at street level that open onto the wide inviting sidewalks. Instead of erasing the natural landscape, with a sea of grass surrounding each home, this community was designed using natural vegetation adapted specifically to this landscape. It was wonderful to see that 30 years later that the front yards were covered with a light dusting of “forest litter” and that sand was creating small dunes at the edges of every street, breaking down the pavement with the softness of nature. 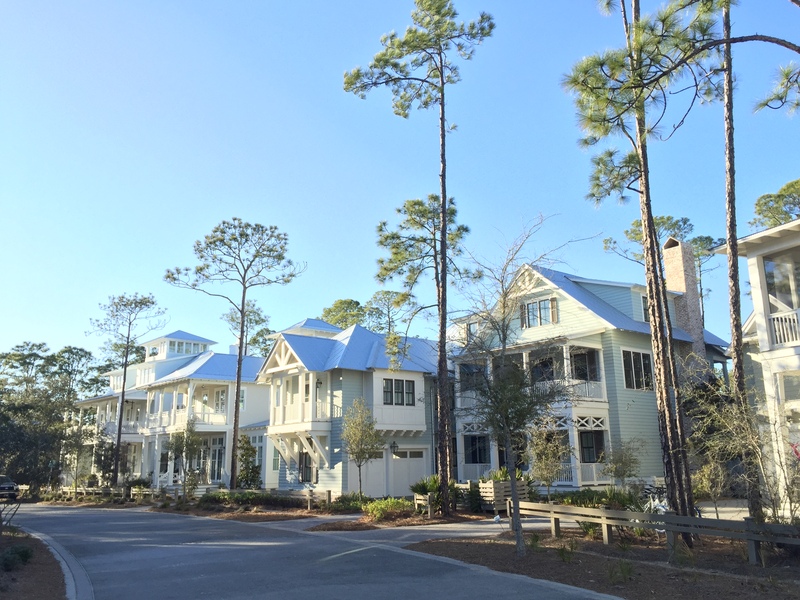 Yes, this is a beach community! At every moment you could feel that this was a special place, that great minds had created it with intent, and that with each decade the special character that they had created would become more engaging. 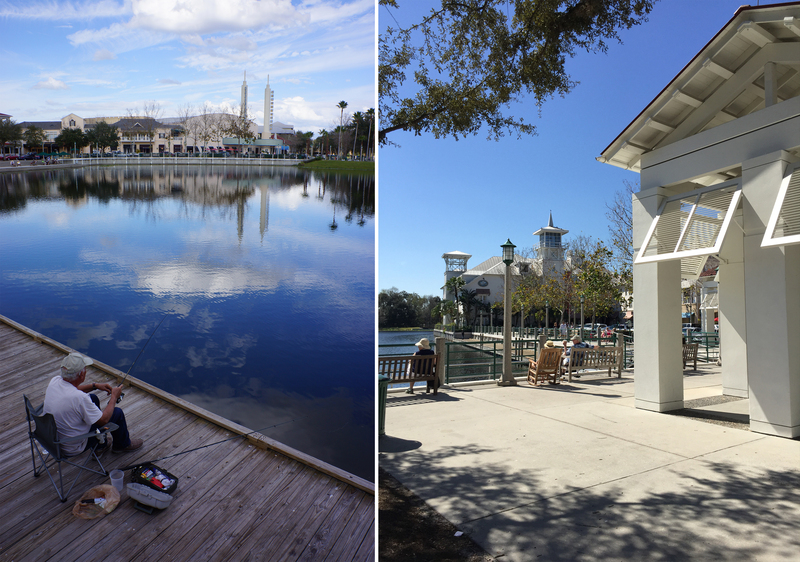 After visiting Seaside it was time to head over to “Celebration”, a community with a name that might be difficult to live up to – but that fits perfectly within the Disney brand. This community was important to see since it also links specifically with the world that Walt Disney had envisioned in his master plan for the 27,000 acre site in central Florida. I have been intrigued with this site for many years and reasons. Visiting Disney World in the early 1980’s was a significant influence on many of my ideas about master planning. 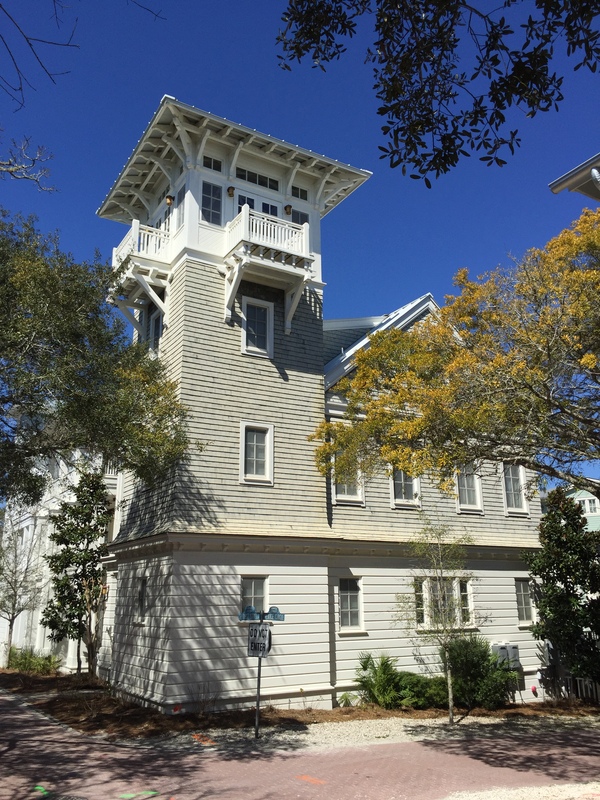 Disney had envisioned this property as one that would incorporate every aspect of life and served as a showcase of new ideas about community living within the residential component of his project. Many years after his death, Celebration came to fruition. It is interesting to walk through this community and understand that the “future” of urbanism would be presented as a “nostalgic” look backward – but in the early 1990’s this was where planning was headed. While conservative in its aspirations, this community is important in that it takes all the cues from Seaside but incorporates areas of public parking and a greater commercial retail mix to ensure the success of the “downtown” component of the site. I knew that the community I was designing in Ontario would need to create a signature space, a place that would be the focus of the community. In Celebration they incorporated the natural drainage requirements into many of the signature features of the design. 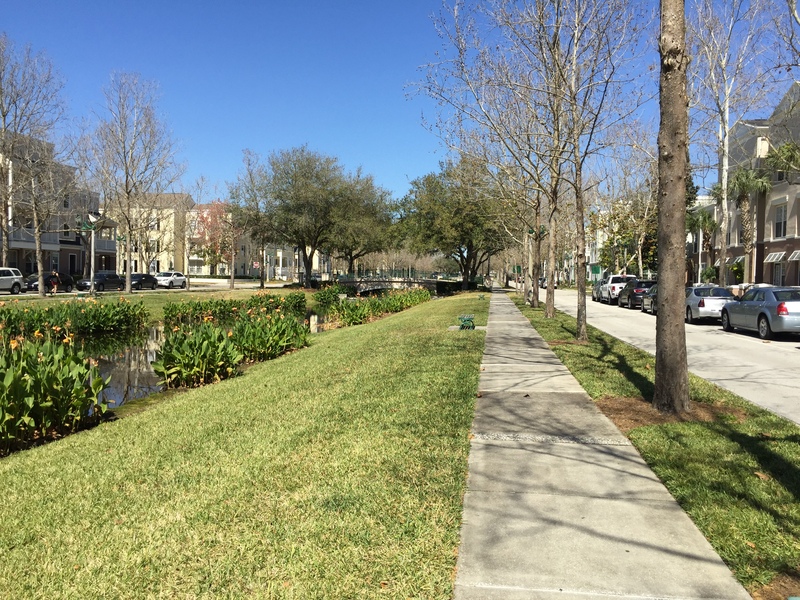 A drainage canal is celebrated as a linear park, much like the linear parks of Boston’s Back Bay. Within this public space the relationship between built form and the natural watercourse creates a very beautiful moment in the community. Water passes under the main street of Celebration and flows into the town’s main attraction, its picturesque lake. The inclusion of the boutique hotel, theatre, post office and town hall around this lake gives this site the complexity of uses and different type of uses to ensure activity throughout the day and into the evening. Both Seaside and Celebration are victims of their own success, and as they have grown, their success in attracting wealthy residents is evident at both sites. 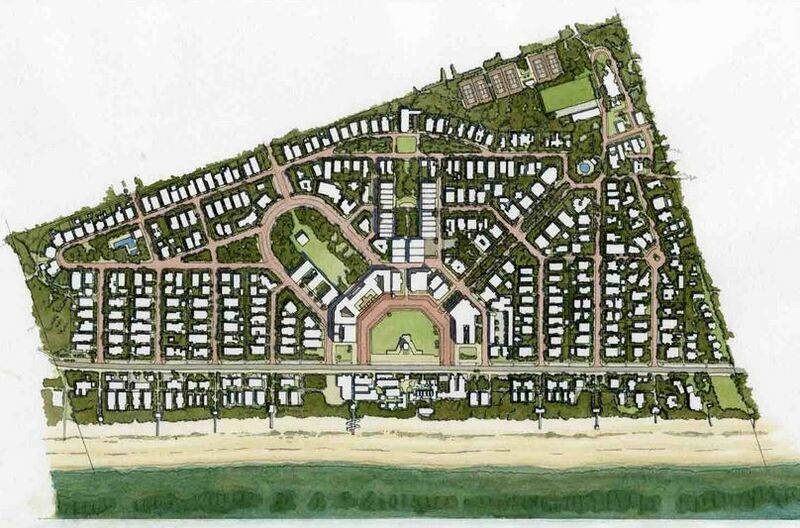 As the later phases of Seaside are built out on the tablelands that surround the site, the intimate, humble character of the initial phases of the master planned community become quite evident. In both cases, there is an attempt to keep the built form of these later phases dense and clustered thus ensuring that much of the landscape remains in its natural state. It works out perfectly that the tablelands available to be built upon at the Seaside site – appear almost as islands, and thus encourage the creation of small enclaves surrounded by the forested landscape of the coastal dunes. This has been harder to maintain with the open terrain of central Florida where Celebration is located. The recently released mandate by the government of Ontario to build dense communities near existing built up areas will work in the favour of our firm in our most recent commission. Our challenge will be to create a community with strong and purposeful connections between the local building traditions and the natural landscape.